The China–Pakistan Economic Corridor (CPEC) has been heralded as a “game-changer” that promises to bring peace and prosperity to the Pakistan. It is a package of infrastructure and energy projects originally priced at USD 46 billion, though recently the figure has increased to USD 51 billion after China committed to fund the Karachi-Lahore rail line. An extension of China’s ambitious One Belt, One Road Initiative, it will upgrade and expand Pakistani infrastructure, linking China’s western province of Kashgar with Pakistan’s Gwadar port on the Indian Ocean. However, CPEC has been beset by problems. The Chinese are growing increasingly irritated by project delays and problems mobilising funds on the Pakistan side. The Gwadar port, poised to become a major logistics hub for the region, has barely been used a decade after construction. There are also growing concerns that growing unrest –particularly in Balochistan, one of Pakistan’s poorest and most troubled provinces with a long history of armed insurgency – could derail the whole scheme. In August, a suicide bomb exploded in Balochistan’s provincial capital of Quetta, killing 70 people. Pakistan’s military – which has trained a 30,000-strong security force to protect the infrastructure and the Chinese engineers — publicly called the attack an attempt to disrupt the massive corridor. 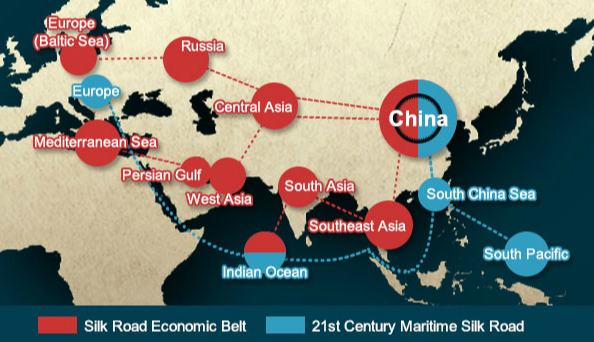 See: China’s new silk road: What’s in it for Pakistan? Within Pakistan CPEC has been riddled by suspicion, conspiracy and bitterness. There are ongoing squabbles over the exact route, the mounting debt and whether Punjab – the most affluent province — will reap all the benefits. The development projects are also putting huge environmental pressures on Pakistan’s scare resources. The focus on dirty coal power — in a country already so vulnerable to climate change — has seen protests in the streets and tin he courts across the country. thethirdpole.net put five important questions to two experts. Michael Kugelman is the senior associate for South and Southeast Asia at the Woodrow Wilson International Center for Scholars, and has studied China’s policies and activities in Pakistan. Andrew Small is the senior transatlantic fellow at the German Marshall Fund of the United States, and the author of “The China-Pakistan Axis: Asia’s New Geopolitics”. Zofeen T Ebrahim (ZTE): Despite a national level consensus over CPEC, why does mistrust persist among political parties, provinces, the media and the public? Michael Kugelman (MK): There are several dynamics at play here. One is a too-good-to-be-true sentiment. There’s good reason to be sceptical that a mammoth $46 billion project can be undertaken quickly and efficiently anywhere, much less in Pakistan, where there are very real concerns about security, basic infrastructure, and overall capacity. And the idea that CPEC can solve Pakistan’s energy crisis—something rooted in a complex array of problems that can’t magically be solved with one project, no matter how big—is one that many dismiss as hopelessly optimistic. Another factor is a concern about inclusivity and equity, which is in turn rooted in Pakistan’s very stark divides. CPEC has been pitched as a grand national project that will bring benefits to the whole country. In reality, CPEC is only exacerbating the country’s provincial and ethnic tensions. Some of Pakistan’s poorer communities worry that CPEC will simply pass them by and not bring them any benefits, and instead create a situation where only those in Punjab—already Pakistan’s most affluent province, and the political bastion of the country’s ruling party—will benefit in a very real way. All this said, let’s be clear—CPEC does enjoy a fair amount of support in Pakistan. Pro-China sentiment is strong in Pakistan, and the idea of the Chinese coming in to build infrastructure and ease Pakistan’s energy crisis plays well among large segments of the population. Andrew Small (AS): CPEC is an initiative with substantial political, economic and strategic implications for Pakistan, yet there have been many unknown elements to it, whether it comes to the financing, the sequencing, the beneficiaries and even basic questions about which projects are really moving forward. In that sense, some level of mistrust is inevitable. While it isn’t possible to be completely transparent about every single detail of every deal, both the Pakistani government and the Chinese government could have done more to address the opacity around the scheme. ZTE: Is this bickering coming in the way of the smooth execution of the various projects under CPEC? What should be done to gain support from all? AS: The bickering has not been helpful – it has been a major source of concern for the Chinese, who don’t want to be embroiled in political controversy and who have encouraged the government to do more to bring the provinces along. It initially made it harder to push plans forward in places such as Khyber Pakhtunkhwa. But the implementation challenges are now more about bureaucratic capacity and effective coordination than the political fights that clouded the first year. MK: If anything can be done, it’s this—Pakistan should pledge to be more transparent about CPEC. It should provide more updates about what specific projects are being done, and when and where. It should speak frankly about the intended route, and explain what has driven its decisions. By simply being more honest, Pakistan may be able to ease some of the grievances. There should also be efforts to ensure that all areas hosting the route of CPEC can derive some form of benefit—this could entail developing economic zones across greater areas of the route, and hiring locals to help build up some of the infrastructure projects. ZTE: What can China do to crease out these differences? MK: China’s model for its overseas infrastructure projects is not particularly inclusive. It brings in a lot of its own labour and overall isn’t known for tapping into local technology, capital, or labour. Chinese technology and capital are certainly an upgrade over what Pakistan can offer. However, with labour, Pakistan has plenty to offer. China could reduce some of the unease about CPEC by allowing Pakistan to better tap into its impressive labour pool. For China, failing to take advantage of Pakistan’s young and able working-age population would amount to a squandered opportunity. And it wouldn’t be a good business decision either. AS: The Chinese side could certainly help on the transparency issue, which would make a significant difference to perceptions. The Pakistani government often gets blamed for the secrecy around some of the projects but Pakistani officials are actually often quite eager to showcase some of them – the caution in a number of these cases comes from the Chinese government and Chinese companies. In general, Beijing would like to see a smoother implementation process, and an entity that resembles a “one-stop shop” for CPEC rather than the more diffuse arrangements that are currently in place – but ultimately it’s a Pakistani decision how to manage a complex national project like this. Chinese officials have nudged the government to put new mechanisms in place but they need to tread a little carefully to ensure that it’s not just a way to circumvent the normal political process around an initiative like this. And a venture like CPEC is new for them too – the Chinese bureaucracy has faced its own challenges, from the approvals process to the flood of private firms that arrived to bid for projects in Pakistan. They’ve put vast, comprehensive investment packages of this sort in place at home but never abroad, on this scale and speed – they’re learning. ZTE: Should CPEC’s security be handled by the army? There are rumours that if the Prime Minister does not allow this he will have to step down. MK: For the sake of democracy, it would be better for CPEC’s security to be handled by civilian institutions. But this is Pakistan, and the army has much more capacity to provide security. Another not-so-small factor is that the Chinese much prefer security from the army than from the civilians. This question of who should provide security gets at a broader issue with CPEC, and one that could well pose a lot of problems down the road. There is a fairly robust tug-of-war taking place between the Pakistani military and government over CPEC. Both want a big stake in overseeing CPEC, because it is such a big prize. The army has the upper hand with CPEC not just because of its overall power advantage over the government, but also because the Chinese have minced no words about their desire for the army to have a greater role in CPEC. AS: CPEC consists of a wide array of projects, and the security measures required will vary considerably – some of them necessitate direct army protection, others may benefit from the army’s involvement in security planning. It appears that the Chinese are keen to have the army hard-wired into virtually all of the projects, given how central their security concerns are and the level of trust that they have for the army as an institution. Over the long-term though, it’s clearly not desirable for anyone if every road, power plant, and industrial park requires military protection. There are already plans for a second Special Security Division for CPEC protection, which adds up to a remarkably large number of personnel all in – around 30,000. There may be need for “iron-clad” security in the short-to-medium term but ultimately the CPEC projects will have to be more normalized if the Chinese and other investors are going to feel entirely comfortable. I doubt the rumours, but I would note – purely hypothetically – that, were anything like that to happen, it would be reputationally disastrous for China. If the flagship project of Xi Jinping’s “Belt and Road” initiative was directly tied to a weakening of civilian rule in Pakistan, there would be serious questions for many other governments around the world about their own involvement, and all the more so if China was seen to have provided even tacit encouragement. Does it matter if China cleans up its banks?